We all know that time spent on electronics just keeps going up. Whether it is a tablet, a smart phone or a computer, it seems every family member needs access daily and sometimes hourly! 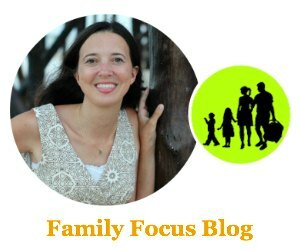 Have you had a family conversation about online behavior? Because raising kids with technology is still new ground to all of us, cyber education is an important conversation that often gets neglected allowing the potential for very unsafe behavior. 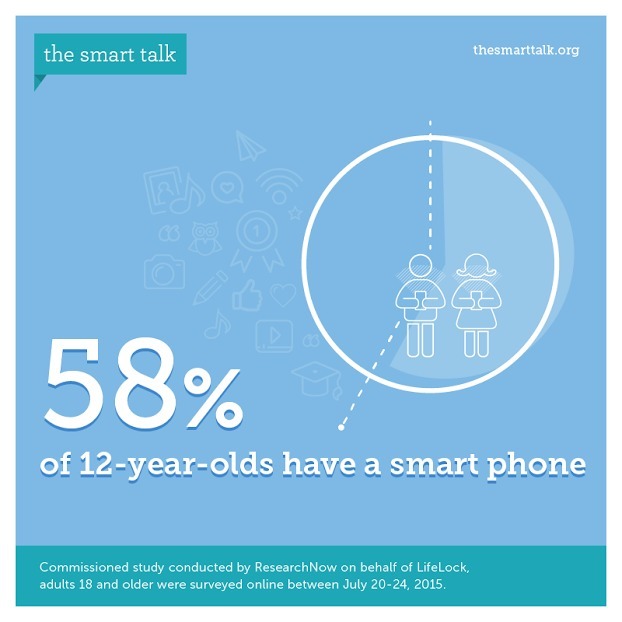 That’s why I am happy to partner the The Smart Talk to help families with e safety kids and teens should know. The National PTA and LifeLock, an identity theft protection company, teamed up to create The Smart Talk. It’s a free, interactive, online tool to help parents set tech ground rules with their kids. By e safety kids should know, I am not referring to cybersecurity as much as electronic safety when using devises that access the internet. I’m talking about the safe and responsible use of technology on the internet whether through phones, computers, gaming devices, etc. So much electronic use is happening without guidance, limitations, or safety protocols. Why do we need e safety for kids and teens? A child’s identity and well-being can be compromised by their online behavior. There are a lot of pitfalls when it comes to navigating life online that kids don’t know about and that many parents don’t even know about. From online creeps who may try to set up meeting in the real world, to sharing inappropriate photos, to giving out their location, there are many real world dangers that can come from lack of e safety. According to a 2015 Pew Research Center survey, “92% of teens report going online daily, with 24% of those teens go online “almost constantly.” And “71% of teens use more than one social network site”. 74% of children have access to laptops and desktops, with the majority of tech access happening as early as 6 years old. This year, 88% of 12 to 17-year-olds will have mobile phones, leaving them at risk of severe information vulnerabilities. While 79% of families have e safety technology agreements with their children, only 6% of those are written agreements, which tend to have a higher success rate than verbal ones. But really, when you think about it, you just have to think of kids you know and you will have plenty of examples of kids on electronics with internet access. And I bet you few of those have strict verbal or written rules of use and safety established. I myself was guilty. Sure I had safety conversations with my kids but we didn’t really have strict e safety kids rules set. Honestly, it was a huge topic to begin to try to think about how to approach and what to say and to make sure I didn’t leave anything out. It is not enough to hope that you kids stay on youtube kids channels and stay out of trouble. That is why I love The Smart Talk. They have a lot of masterminds who are familiar with all sorts of technology and familiar with the risks and the best way to protect your family and they help you have The Smart Talk with your kids. The Smart Talk is an interactive tool that you and your children use together to establish tech ground rules and e safety. You proceed through a short Q&A style program with your child and you end up with a printable contract your child signs to stay accountable. I think parents and kids and teens all need this cyber education early on to avoid the risks of oversharing and providing more information than is safe online. I love that the National PTA and LifeLock worked together to create The Smart Talk so that I can trust the experts on these e safety kids topics. The Smart Talk was created for parents of today’s digitally savvy kids and teens who want their kids to be able to learn and have fun through technology while being safe and responsible online. I would recommend this free, online tool to help all families set ground rules for technology use and have open, ongoing conversations. The Smart Talk engages and teaches kids and parents through an interactive experience. It helped me lead my children through a guided conversation about online safety and privacy; screen time; apps and downloads; texting and calling; and social media and respect. As you can see, the tool does an amazing job at making sure you hit all the important topics. I felt like a weight was lifted off my back that I didn’t even know was there. I feel relieved to have covered these important topics with my kids. The tool also creates a printable contract so we all know what we agreed to and can refer back to it if we have questions. The Smart Talk provides an opportunity for families to talk about the issues that can arise as kids use smartphones, social media and apps before they happen. It is just smart protection for you children and yourself. Another cool thing is that The Smart Talk can be revisited to keep the conversation going and evolving as kids age and technology changes. I think The Smart Talk is a fantastic free resource for all families. Visit thesmarttalk.org to start your technology conversation today. Feel free to share this information with other families you know. 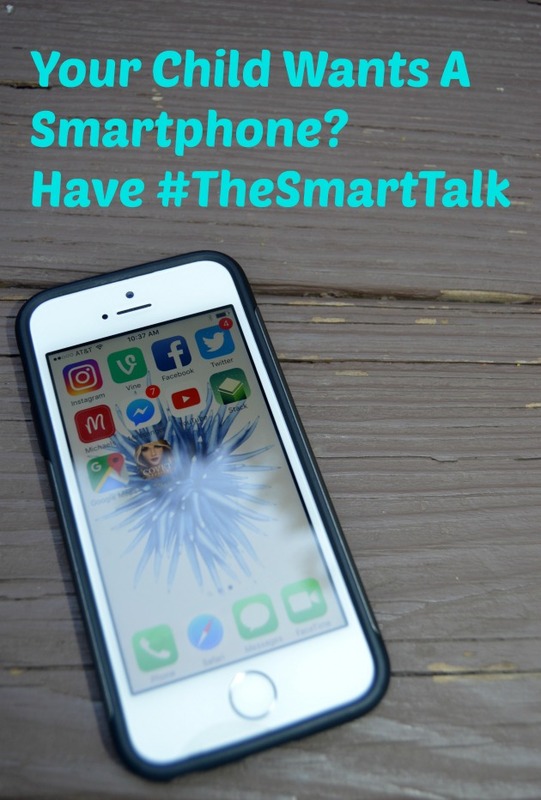 Do you think that The Smart Talk would be helpful in guiding you through a conversation about internet safety and responsibility with your kids? Do you have e safety kids technology agreements? Will you print yours after you have your Smart Talk? Such an incredibly important conversation to have–and keep having!–with our kids. Wonderful. Ill have to share this. It’s scary times; parents must act responsibly.